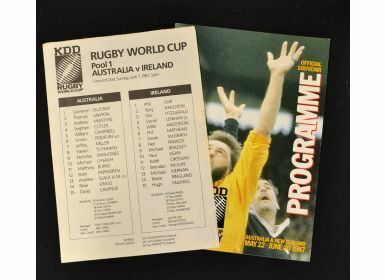 RWC 1987 Pool Stages Rugby Programme: Sold at all pool matches, A4 72 pp issue with pen pictures, photos many articles. 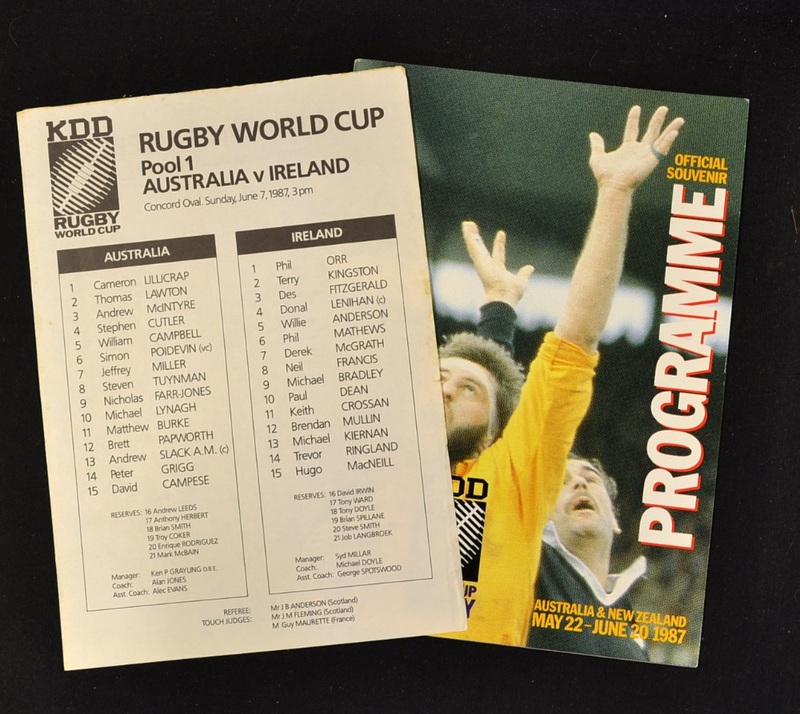 Includes an A4 printed team sheet for the Australia v Ireland pool game. All in very good condition.